This is only a very, very small list of blogs that I love and read. I just can't fit the over 400 that I love and read, so be sure to check out my expanded , but not totally updated blog roll by clicking on it's button at the top of this column. Happy Blogging! CAW!!! CAW!!!! Noises from the attic...and my head!! I thought I'd share a few vintage Santa Claus paper dolls that can be printed out and used to create with. Make sure to click on the image to view it larger then right click and save to your computer. This first one is my very favorite and is what I'm using to tuck into my Christmas cards this year. I printed him out at an 8 x 10 size and he'll measure approx. 9 1/2 inches tall when he's put together. I printed him onto cream cardstock and used antiqued copper colored brads to assemble him with. I found him HERE originally. How fun! 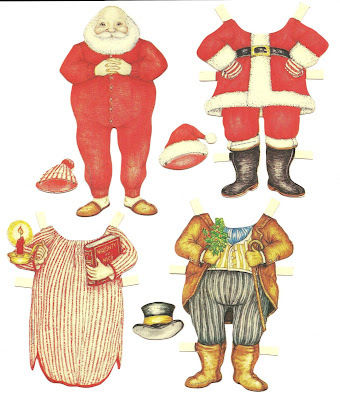 Santa in paper doll form with a nice little set of clothes. I found him HERE originally. 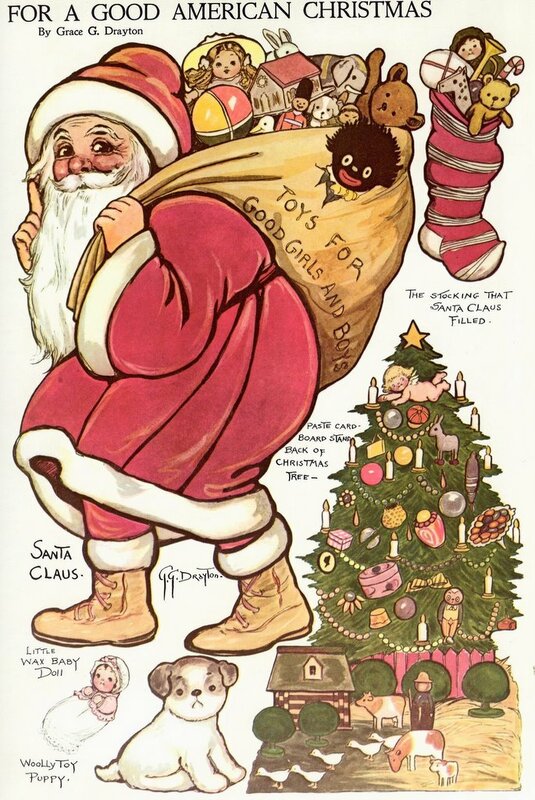 And finally this darling vintage Santa by Grace Drayton, the creator of the Campell's Kids and Dolly Dingle. I found him on Pinterest, but he didn't link back to any other website. 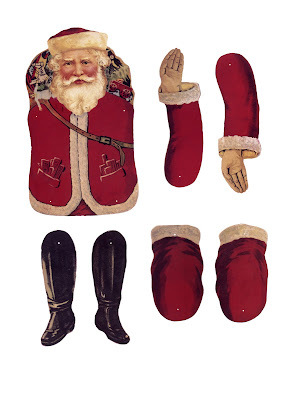 Have fun and enjoy these cute vintage paper Santas.